In the land of the free “you are what you eat,” and with Indians freely eating more fatty foods, pound for pound, the measure of nutrition is losing inches, while fat is tipping the scales. The myth to proper diet and excercise in this era is that there isn’t enough time for that well balanced meal. Bul for the most part, one fast foods “meal deal” contains more than enough protein and fat to satisfy the recommended daily allowance set by the Food and Drug Administration (RDA). Most Indians consume their protein from animals (red meat). But along with the protein comes saturated fat and cholesterol, clogging your arteries and contributing to heart disease and high blood-cholesterol levels. 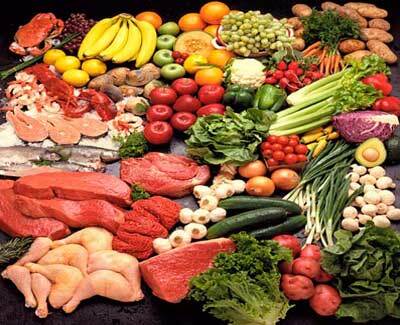 Some forms of cancer (colon, breast, pancreas and kidney) have also been linked to animal proteins. With most experts no longer seeing animal products as all-important protein sources anymore, more are focusing on plant products. Athletes are also turning to more natural products for protein, considering that protein is what is responsible for building muscle and fueling their energy supply. The focus for protein is now turning to starchy staples like bread and spaghetti and raw nuts. As protein-rich meals are no longer the “breakfast of champions,” complex-carbohydrates are becoming Ihe choice for many athletes and dieters alike. Complex-carbos are found in grains, fruits, legumes (peas and beans), and in other vegetables. Included in complex-carbos are three types of dietary fibers—cellulose, hemicellulose and gums-and starches. Another type of complex-carbohydrate is glycogen (animal carbohydrate). Some athletes are loading up on complex-carbos to increase their glycogen reserves in muscles. This may improve endurance in some sporting activities such as running marathons. Fresh fruit are major sources of fiber, vitamins and minerals. Though carbos (sugars and starches) and fats are primary sources of energy, fruit contains the least calories. are sources of carotene, a precursor to vitamin A. Vitamin A is important for eyesight in dim light, bone formation, and the function of mucous membrane. Grapefruits, oranges and other citrus fruits and juices, melons, berries, papayas and kiwi are good sources of vitamin C. Vitamin C (an ascorbic acid), is a key nutrient in the production of collagen and the formation of red blood cells, bone and teeth. It is also important in the treatment of anemia, stress and scurvy.